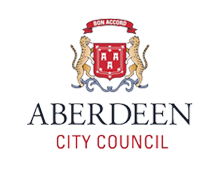 Our skilled team based in Aberdeen covering the whole of Scotland are fully qualified to investigate and report on all aspects of contaminated land and environmental issues. Grampian Geotechnical's fully accredited experts will perform a comprehensive analysis to ensure your building foundations get off to a solid start. Grampian Geotechnical Scotland's ground investigation rigs are designed to handle soil sampling and testing projects of any scale. We provide flexible specialist testing and sampling services, both on-site and in-house, tailored to your needs. We offer a comprehensive soils, rock, aggregate testing and analysis service at our custom built and fully accredited laboratories. Our fully qualifed geotechnical experts backed up by our extensive technical equipment and laboratory deliver an unrivalled multi-disciplinary platform for all your ground work requirements. "Unfortunately, soils are made by nature and not by man, and the products of nature are always complex." "Grampian Geotechnical apply the principals of soil mechanics to practical problems to aid the development of contemporary design." "The science of Geotechnical Engineering explains the mechanics of soil and rock and its application to the development of human kind." "Everything you see around you is supported by soil and rock, Geotechnical Engineers are responsible for that."